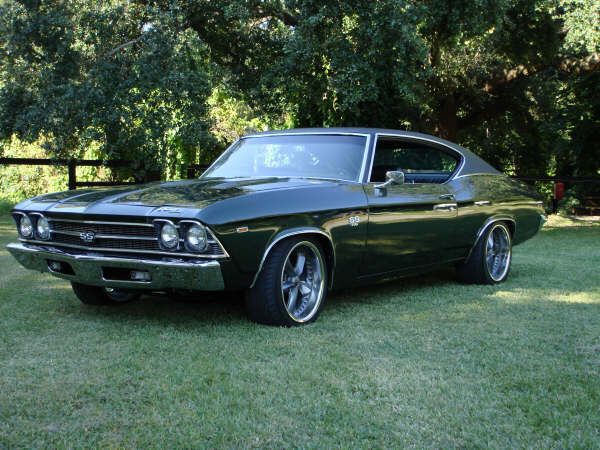 The 1969 Chevelle received some minor revisions from the previous model year. The body was basically the same, but its good looks came from a new grille, tail lights, headlamp bezels, and some other cosmetic adjustments. 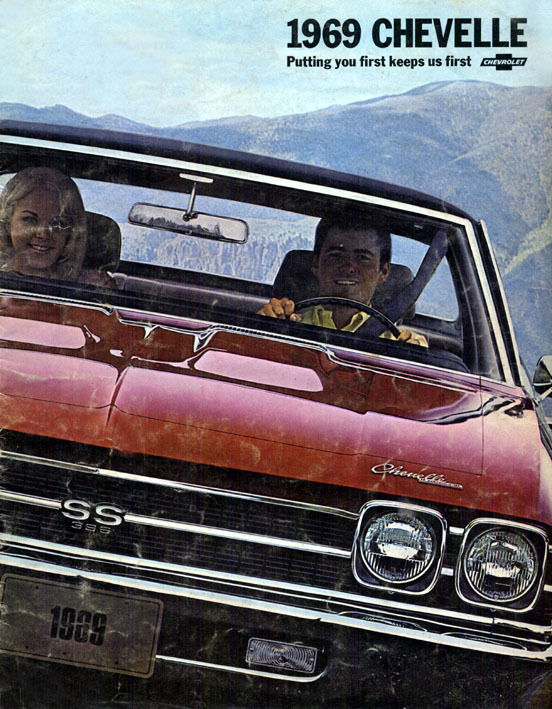 The 1969 Chevelle was available in several trim levels including the Chevelle 300, Chevelle Nomad, Chevelle Concourse, Chevelle Malibu, or Chevelle SS396. Each configuration could be ordered with a six cylinder (except SS) or V8 engine. Body style included 2 door sport coupes, 2 door sedans, 2 door convertibles, 4 door sedans, 2 door wagons, or 4 door wagons. Interiors could be optioned with either bucket seats or bench seats and were available in many colors. 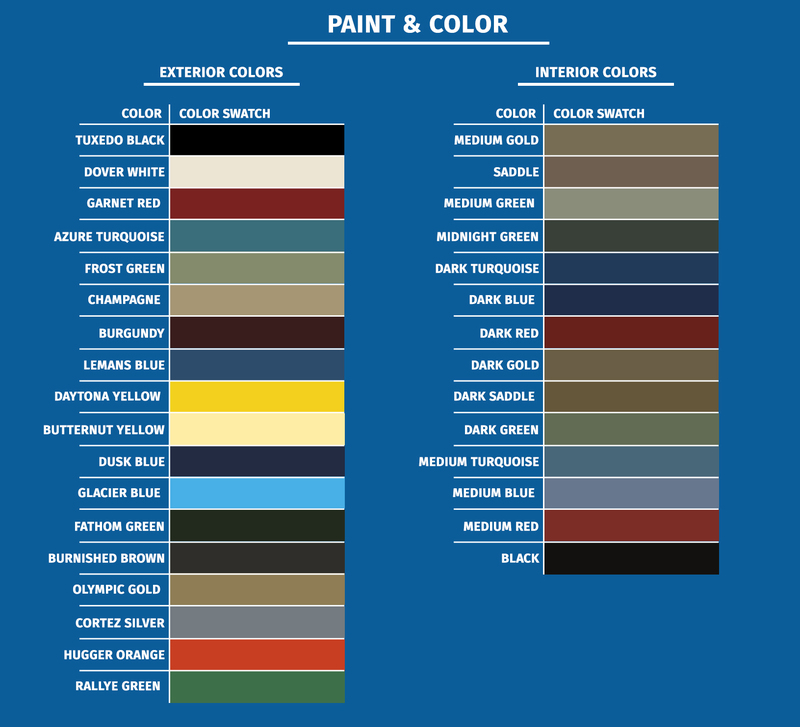 The most popular were Black, Dark Blue, Light Green, Dark Metallic Green, Parchment, Red, or Saddle. The buyer could have ordered a number of different exterior colors including Tuxedo Black, Midnight Teal Metallic, Ermine White, Grotto Blue Metallic, Fathom Blue Metallic, Island Teal Metallic, Ash Gold Metallic, Grecian Green Metallic, Autumn Bronze Metallic, Rallye Green Metallic, Tripoli Turquoise Metallic, Teal Blue, Metallic, Burnished Saddle Metallic, Cordovan Maroon Metallic, Corvette Bronze Metallic, Seafrost Green Metallic, Verdoro Green Metallic, Matador Red, Jade Gold Metallic, Palomino Ivory, Lemans Blue Metallic, Sequoia Green Metallic, Silver Beige Mist Metallic, Buckskin, Butternut Yellow, and Inca Silver Mist Metallic. To complement the wide variety of available colors were the available drive train combinations that could be opted for on the 1969 Chevelle. Base power was had by one of two available six cylinder. Buyers who wanted more power could opt for a V-8. Big block were in abundance with the regular availability of a 396 cubic inch engine which boasted 325 horsepower, 350 horsepower, or 375 horsepower. Manual transmissions were either 3 speeds or 4 speeds and automatic transmissions were either the 2 speed Powerglide or 3 speed Turbo Hydramatics. About 503,000 1969 Chevelles were produced.